I just completed a ten day sleep retreat. I didn’t plan it, it just happened. I didn’t realize how sleep deprived I was until I started sleeping 10-11 hours at a stretch. Last month I struggled with insomnia. I’d wake up at 2, 3 or 4 in the morning and my busy mind would not let me fall back asleep. It was a rough couple of weeks, but it gave me a firsthand experience of what many people struggle with on a daily basis. 50-70 million Americans have a sleep disorder. Insomnia is the most common sleep disorder. 30% of adults suffer from short term insomnia. 10% of adults struggle with chronic insomnia. The average adult requires 7-9 hours of sleep. Approximately one third of Americans report that they get less than 7 hours of sleep during a typical 24 hour period. Sleep disorders have been linked to drowsy driving, obesity, and death (due to medical errors). People are taking steps to address sleeping disorders. Many luxury hotels and resorts have started offering Sleep Vacation packages. In an effort to combat stress, many couples are choosing to sleep alone. The practice of Sleep Yoga also encourages practitioners to sleep separately. Sleeping alone increases relaxation and allows for a more individualized dreaming experience. Sleeping alone is one of 6 recommended steps for creating your own Personal Yoga Sleep Retreat. If spending a couple thousand dollars on a weekend getaway doesn’t fit your budget, a DIY home sleep retreat is an affordable and effective alternative. Step 1: Take a Stay-cation. Give yourself the gift of some quiet time at home. Clear your schedule, and resist the impulse to fill it back up again. Step 2: Clean your bedroom. Wipe down surfaces, vacuum, wash your sheets. Sort through clutter and donate items you aren’t using anymore. Step 3: Avoid caffeine. People have different sensitivity levels to caffeine. As a general rule, if your goal is to fall asleep by 10pm reduce your caffeine intake after 5pm. Step 4: Minimize exposure to artificial lights (this includes screen time). Candlelight or low lights will help you wind down. Step 5: Bathe before bed. Take a shower or (even better) a bath. Adding a cup of Epsom salts to your bath will relax your muscles and increase your ability to sleep. Put on clean sleeping clothes and relax in bed with the lights off. Step 6: Sleep alone (if you have the option to do so). It makes a huge difference in the quality of your sleep. Let’s face it, exercising with friends is a lot of fun. We can learn so much about ourselves while being part of a team. And as life is moving faster than ever, quality time with friends and family is becoming even more of a priority. 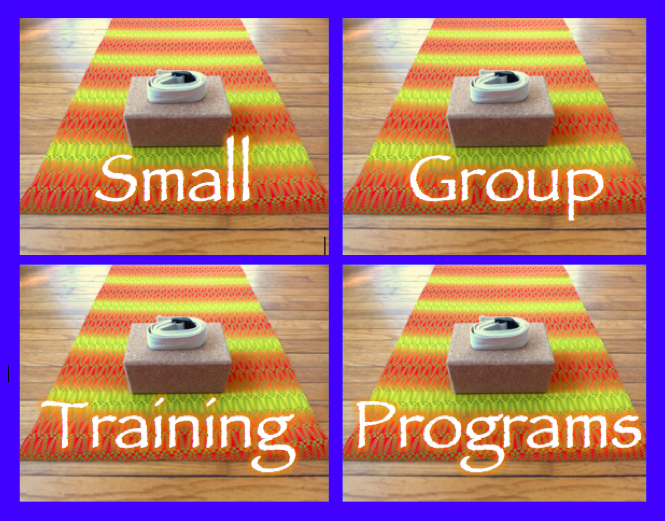 Small group training is a wonderful way to experience the benefits of Personal Yoga in a supportive environment. Receive high quality instruction at an affordable rate, as you create meaningful shared experiences. Families, friends, couples and co-workers can form their own teams and work towards their shared goals. If you would like to join a team simply request to be added to an open group. This is a great way to make new friends and connect with people in a positive setting. You might also choose to receive additional help through one-on-one training while participating in a small group program. Keeping the number of participants low makes it possible for each client to receive as much personalized attention as possible. Small groups are typically made up of two, three or four people. How long does a training program run? The ideal time frame for a small group training program is 5-10 weeks. 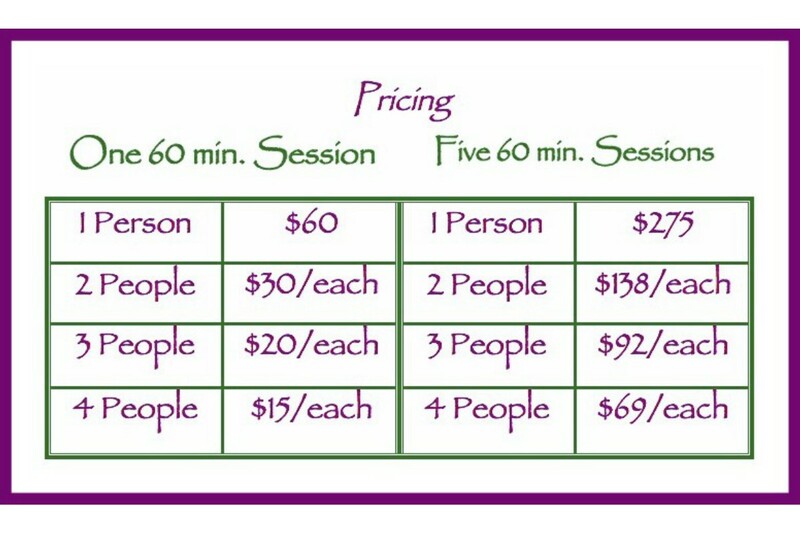 You could start with a single session and if you decide to continue I recommend upgrading to a discounted package of five sessions. Everyone needs a little motivation from time to time. Give your friends a little nudge and share this post with them. Ask to be added to a team that is right for you. We’ll connect you with people who have similar needs and goals. Read a few success stories from past clients on the Testimonials page.